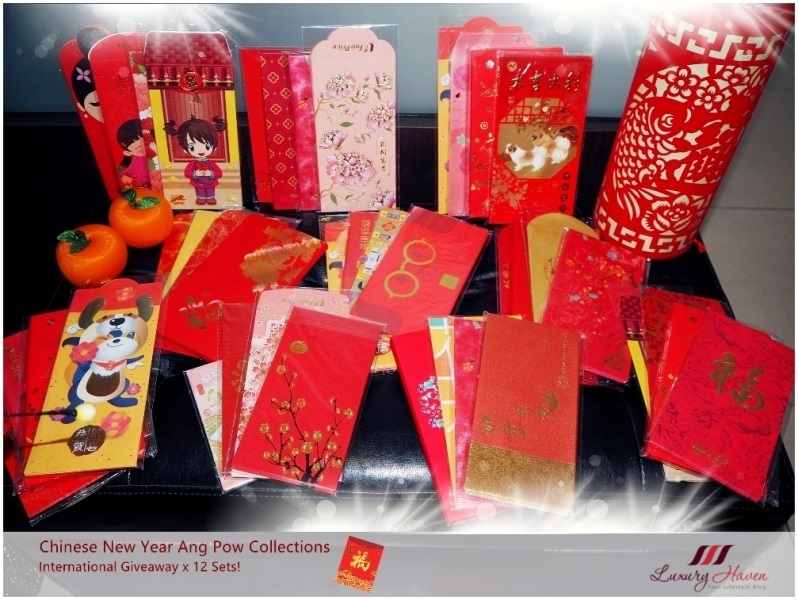 You are here:Home » Gifts » Chinese New Year Ang Pow Collections Int’l Giveaway x 12 Sets! For the non-Asians, do you know that these gorgeous red packets can also be used to make handicrafts such as this charming basket made by one of my students? 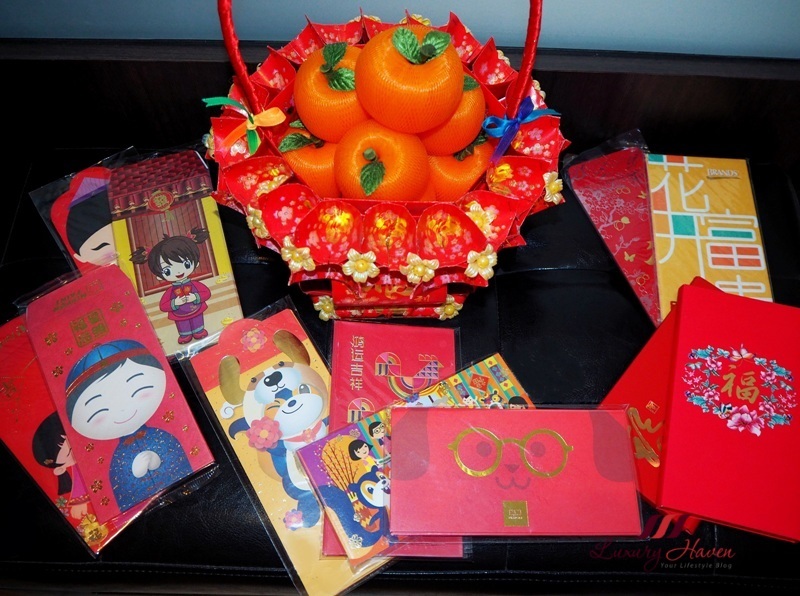 Well, you can also learn to DIY your own Mandarin Oranges this CNY! 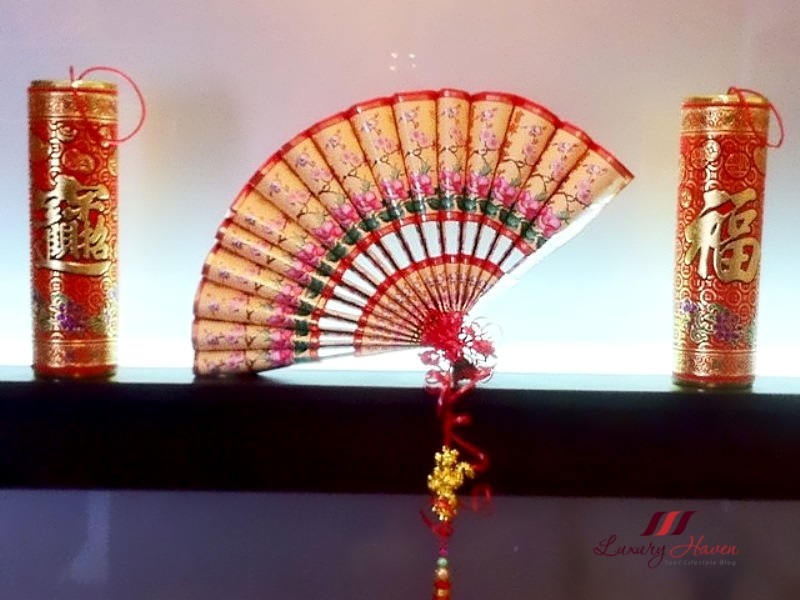 Here is another exquisite DIY red packet Chinese Fan design! 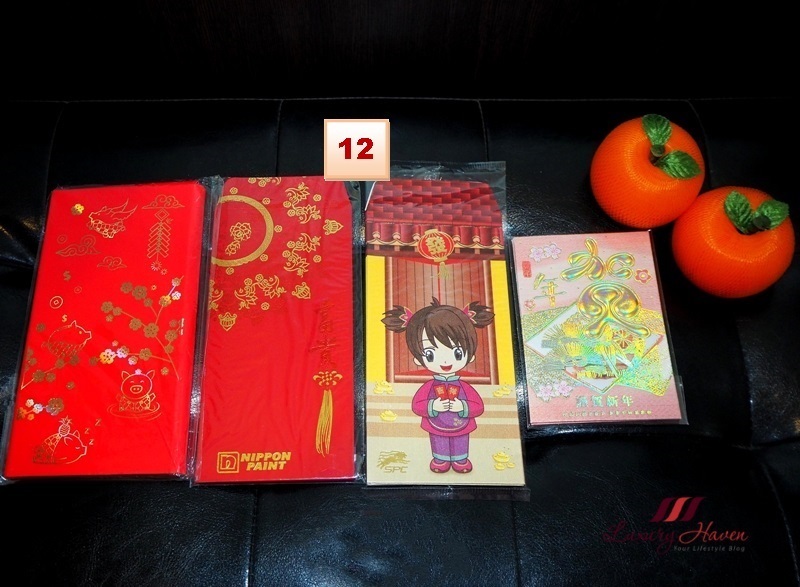 Each set of 4 different designs contains both Adorable Boy and Girl Red Packets in stacks of 5 or 10. Set 3 includes the CNY 2019 Year of the Pig design! These Hong Bao sets contains the Chinese Zodiac animals - Rat, Ox, Tiger, Rabbit, Dragon, Snake, Horse, Goat, Monkey, Rooster, Dog and Pig. Representing good fortune, 福 ( Fu ) is one of the most popular auspicious characters during the Chinese Spring Festival. If you prefer to have quirky colours like pink and yellow instead of the usual red, these ang pows with flower designs are certainly a delight to have. Some sets also contain favourable Chinese greetings. 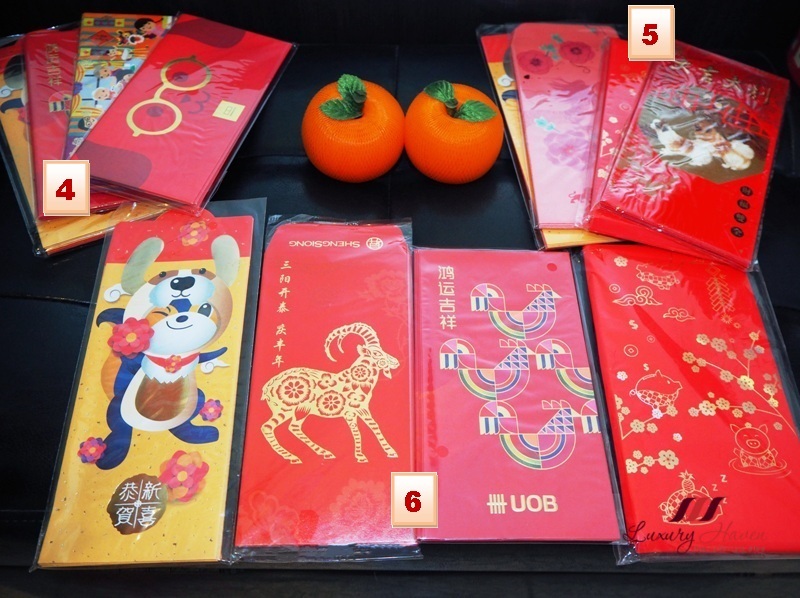 This last set of red packets has a mixture of cute Piggies, auspicious Chinese characters, adorable Girl and Boy, and unique Pink/Gold envelopes. So what’s your favourite pick? Know any Red Pow collectors? Be sure to tag them and let them know about our giveaway too! Submit your entries via the Rafflecopter widget below. * Make sure to Complete All Steps to qualify for the draw! For those without Facebook a/c, just share and tag 3 friends in Instagram or Google+. Tell us your preferred choice in the Comment Box at the end of the post eg. 1st Choice: 3, 2nd: 6, 3rd: 11. We will try our best to accommodate the winners' preferred choice. Giveaway will run from Jan 27 – Feb 9, and it is Open to All Worldwide. I would love any of them but if I have to choose it would be 1st Choice: 6, 2nd: 12, 3rd: 11. Thanks for the chance . All the best to those participating! May I have your name please, or I won't know which participant you are? 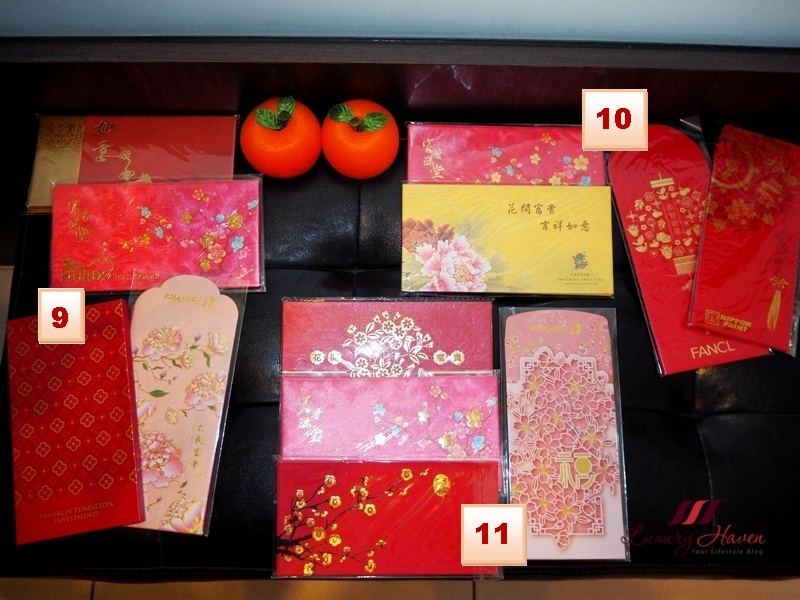 Not an avid collector but I love lovely red packets. Not joining this giveaway. Good luck to all participants. Happy Chinese New Year in advance to everyone!! Pls let us know the Name you used to enter the Giveaway. I don't collect but I do like red ones and those with flowers. Beautiful designs, red colour is one of my favourites, for me it always symbolizes good luck and love. I'm not participating but I wish good luck to all the participants. 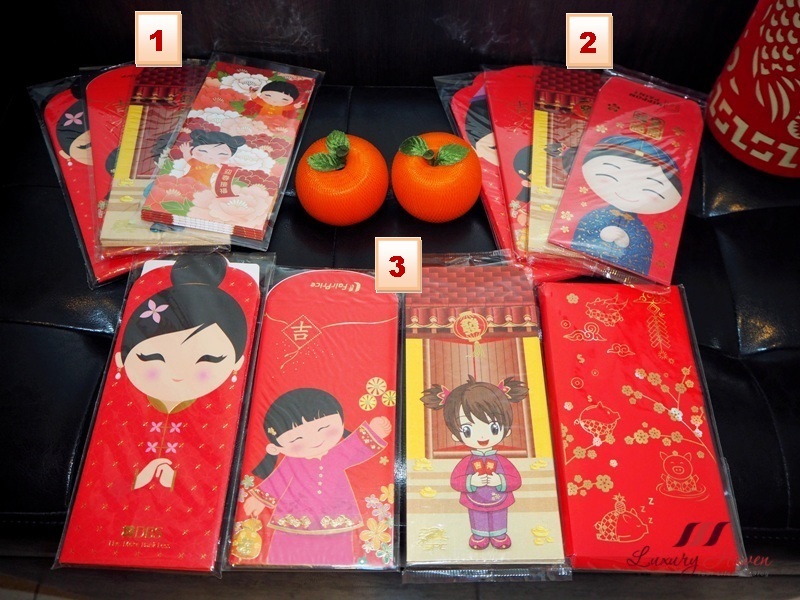 I'm an angpow collector and have you nice collection. I like to have design 4 or 1 or 2. Hope I'm lucky and thanks in advance. Don't forget to Subscribe to Luxury Haven via Email @ https://goo.gl/LFJ7Uu! You will need to Activate the Link in your email a/c so that your name will be entered into the draw, Good luck! All the best to those who participate! I love looking at ang pows. Such a fun giveaway! Good luck to all! I would love to have the 9, 10, and 11. I like pink and yellow with floral designs. There are so many creative designs out there! Great giveaway! Thanks for taking time to connect with me and tell me about it. My preferred choices are no. 1, no. 2 and no.3. You have been having so many cool giveaways. Such nice and fun giveaway! My choices are as follows: #3 #2 #1. All very cute designs! Hope to be a winner of this awesome giveaway! Thanks so much! My name is Seah Kai Ler. Thanks for the invite to this cute giveaway. I don’t read many blogs anymore but I always enjoy seeing your posts on FB and visiting once in a while. Your posts always bring a big smile to my face, especially the ones with you and your prince, so sweet! Keep up the terrific blogging! 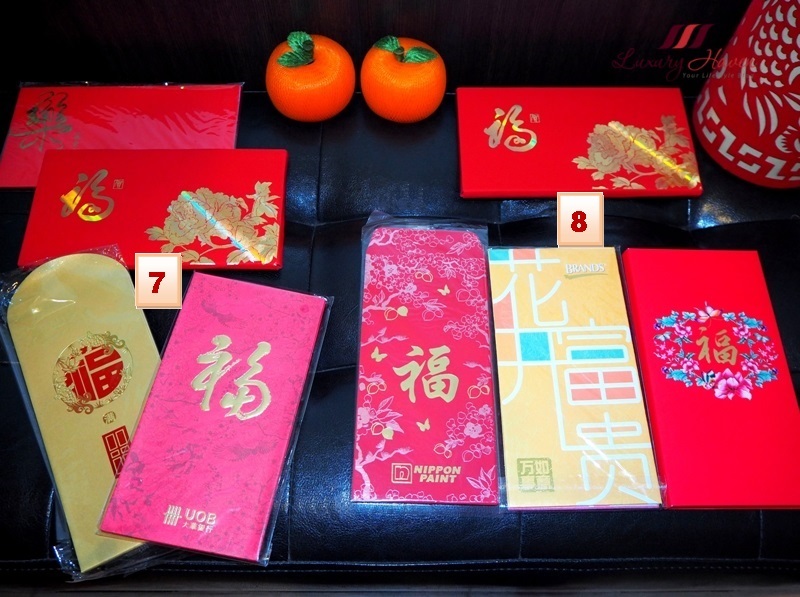 I don’t collect red envelopes so I will not be joining this giveaway, don’t want to get in the way of serious collectors. Hahaha. I hope you and your family are doing well! Thank you again for the invite. Big hugs! My personal preferences are # 3,11,12 in that order. Thanks for the opportunity Shirley! I am a small timer angpows collector, have collected 2 drawers full of them at the moment. Good luck to all participants.